In conjunction with Family and Community Services, Basketball NSW are providing our member associations the opportunity to apply for funding in order to assist in the facilitation of Walking Basketball Pilot Programs. The funding will support our affiliate members as endorsed providers in running a six week introductory pilot program. In the first round, a number of associations were awarded the funding to launch Walking Basketball, with a further five associations being offered to begin in early 2019. 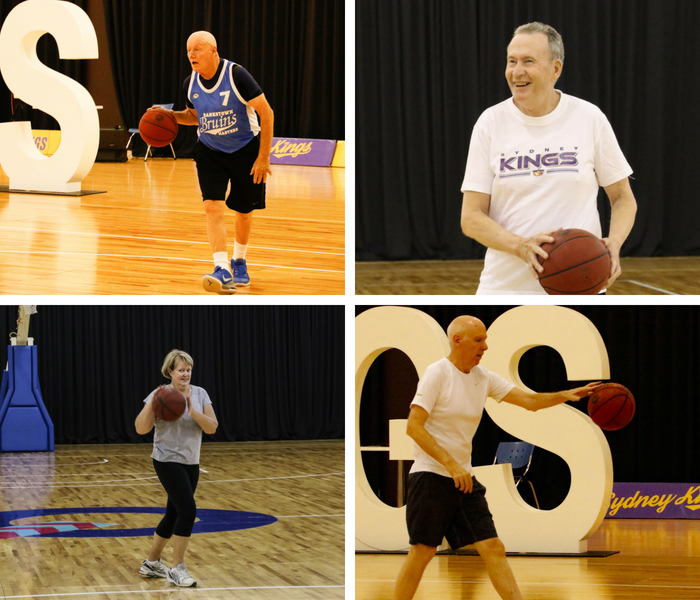 Originating in Victoria, Walking Basketball is a fun, social way for participants to be remain active. It offers a low impact alternative to exercise for participants of all abilities. For our associations, it is a way to connect to the broader community through social inclusion, increase members and greater overall enjoyment. “On the back of it’s great success in round one, we are more than excited to offer the opportunity to a further five associations to register their interest in the program and begin Walking Basketball to help engage local community groups in fitness, social engagement and in the fostering friendships,” Inclusion officer, Rachel Herrick. The sessions last for 60 minutes and are made up of warm up, skill based drills and ‘game play’. Sessions are designed to be adaptable based on the participants skill level, fitness and mobility. Following the sessions, morning tea is provided to make it an enjoyable social outing, rather than just exercise. – A coach – prior coaching experience in this space is not required. Training will be provided. A an open mind, and a good sense of humour is a good start ! – A full acquittal of the funds, evaluation from coaches and the association. Feedback from participants. – Six week program to be completed by 21st December 2018. Expressions of Interest (linked below as PDF) needs to be filled out and forwarded to Rachel Herrick at [email protected] by COB Friday 14th December 2018.